Find Smyrna, GA Condos for sale. View Photos, Maps and MLS Data Now! King Valley At Vinings - A Spacious & Cozy Home Where The Light & Colors Of The Seasons Flood The Space Calming The Mind & Soothing The Soul MLS#6540807. Solid Source Realty, Inc..
Close To Smyrna Markets, Suntrust Park, The Battery, Silver Comet Trails And Park. 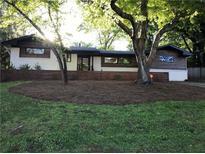 MLS#6540535. First United Realty Of Ga, Inc.. Brand New Deck With A Super Private Lot. Act Quick On This One! MLS#6541173. Red Barn Cityside. Norton Park - Located Close To Suntrust Park, Restuarants And Shopping. MLS#6541190. Keller Williams Realty Partners. Concord Park - Plenty Of Storage In The Full Basement. Priced To Sell. 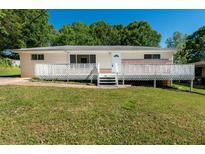 MLS#6540693. Keller Williams Rlty-Ptree Rd. The Original Owners Have Meticulously Maintained This Home Which Is Move-In Ready. MLS#6538318. Engel & Volkers Atlanta. Forest Hills - Outdoor Entertaining Area W/Fire Pit & Storage Shed.The List Goes On And On, Close To Suntrust Park, Hgtv Ready! MLS#6539942. Keller Williams Realty Intown Atl. Completion Date Is October 15, 2019. MLS#6539167. Solid Source Realty Ga, Llc..
Devonshire Court - Additional Bedroom Suite In The Walkout Basement, With Plenty Of Square Footage To Be Versatile Enough For All Your Needs. MLS#6539571. Properly. The Highlands - Kitchen Features Granite Countertops And Stainless Steel Appliances. Hardwoods Throughout. Corner Lot. MLS#6539543. Chapman Hall Realtors. Stonecrest Manor - Minutes To The Battery At Suntrust Park, Under 30 Minutes To The Airport, Downtown And Midtown. Luxury At It’S Very Best! MLS#6538005. Keller Williams Realty Cityside. This Stunning Home Is A Must See! MLS#6538846. Keller Williams Realty Cityside. Belmont Chase - Great Location To Smyrna Village & Belmont MLS#6538553. Keller Williams Realty Cityside. Convenient To Downtown, New Braves Stadium, And Airport. MLS#6539043. Atlanta Communities. Buyer Will Have An Opportunity For Selections. MLS#6535435. Craig Wrigley Real Estate Broker. King Valley At Vinings - Fenced/Level/Private Backyard. Mins To King Springs Elementary. MLS#6538065. Berkshire Hathaway Homeservices Georgia Properties. Mins From The Battery & Suntrust Park Where You'Ll Enjoy Dining, Shop­Ping & Entertainment. MLS#6538322. Keller Williams Realty Cityside. Community Features Resort Like Amenities 3 Pools, Gym, 2 Clubhouses, 8 Tennis Courts, Basketball, Playground & Trails. MLS#6537835. Keller Williams Realty Cityside. Kenwood - Large New Fenced In Back Yard. Perfect For Kids And Pets. MLS#6537871. Commonwealth Real Estate Assoc Llc. Stonecrest Manor - New Security Cameras. Walking Distance To Shops & Restaurants. MLS#6537127. Keller Williams Realty Cityside. Deerwood - New Hvac System. Two Car Garage. Great Yard MLS#6537531. Drake Realty Of Georgia Atlanta. Kenwood - Very Energy Efficient, All Electric Home, Honeywell Thermost & More! MLS#6536274. Atlanta Communities. 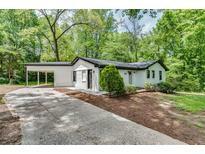 Smyrna Heights - You Won'T Be Disappointed In This Top-End Renovation! MLS#6537249. Re/Max Greater Atlanta-Cobb.